Isolation and fear are devastating issues within the Parkinson’s community. At PPLV, we connect, empower, and inspire this community by providing local resources and support to help PWP refresh their perspectives and live their lives to the fullest. Welcome - We're glad your here! You're not alone! Feel free to check out stories from others and please share yours. We do more than sit for support. We are active and want you to move with us! We are all capable of more than we have imagined, particularly when we work and play together. We laugh, listen and learn - together. Every Southern Nevada Person with Parkinson's (PWP) will move with pride. We refresh minds by connecting, empowering, and inspiring the Southern Nevada Parkinson’s community. Martie Vlcek is a professional coach and personal trainer. She is owner and operator of Rock Steady Boxing Green Valley, a non-contact boxing program for people with Parkinson’s Disease. Martie’s father had PD and 5 years ago her oldest brother was diagnosed with the disease. She is passionate about bringing movement to people with Parkinson’s and through Rock Steady Boxing helps them fight their disease everyday. Robert Cochrane is an award-winning filmmaker, with numerous narrative and documentary features to his credit, including the Parkinson’s-themed documentary series, “Boys of Summer”. He is also host and creator of the web series, Faces of Parkinson’s. Say “Yes, and” to him and he will smile. Cidney Donahoo was diagnosed with Parkinson’s Disease in 2010. She is passionate about sharing resources to help people with Parkinson’s live well. 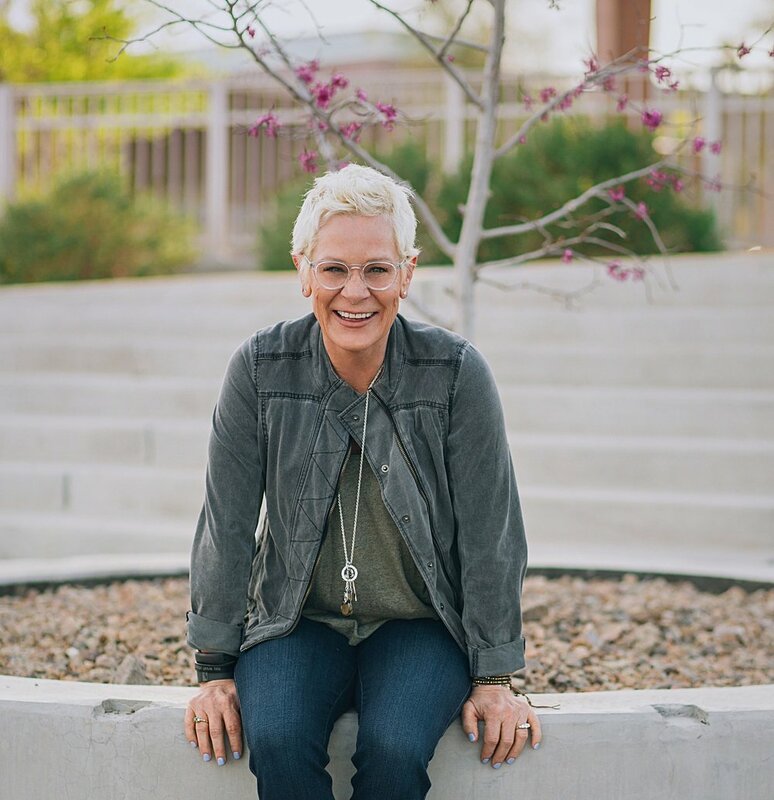 Through her work an Ambassador to the Davis Phinney Foundation, Pedaling for Parkinson’s, and Young Onset Parkinson’s of Southern Nevada, she spreads the message of living well today. Her mantra is, “I plan for tomorrow, but I live for today”. Pat Donahoo, a Special Education teacher and a care partner to his wife Cidney looks at Parkinson’s with an open mind and the desire to leave no person with Parkinson's behind. As an Ambassador with the Davis Phinney Foundation he is known as Alfred to all PD superheroes. An avid cyclist, he can often be found riding tandem in Red Rock Canyon with Cidney. Darbe Schlosser is the OwnerTrainer of Motorvation USA and the President/Founder of Motorvation Foundation. She helps People with Parkinson's (PWP) build a life of movement and re-discover their inner athlete. She is active in the Las Vegas Parkinson's community through advocacy and research. Darbe has her degree in Psychology and is a certified personal trainer and biomechanics specialist. Ruth Almén is the Social Work Manager at the Lou Ruvo Center for Brain Health/Cleveland Clinic. Ruth has previously been involved in starting a Pedaling for Parkinson’s program, a Dancing with Parkinson’s program and other community based projects. She has a Master’s in Social Work Degree and is a Licensed Clinical Social Worker in the State of Nevada. Christian Banda is a research advocate for Parkinson’s Foundation in collaboration with Emory University. He is also part of American Parkinson’s Disease Association “Look Closer” PSA campaign. He is also active in the Las Vegas Parkinson’s community through advocacy and research. Christian works as a full time Massage Therapist. He’s has battled Parkinson’s for the last seven years and has been able to minimize symptoms associated with Parkinson’s through diet and exercise. Christian has never considered himself an athlete until Parkinson’s pushed him. He pushed back, losing 60 lbs and becoming the first person with Parkinson’s to obtain multiple Spartan Race Trifectas. Christian is a firm believer that limits are meant to be broken and that anything is possible.